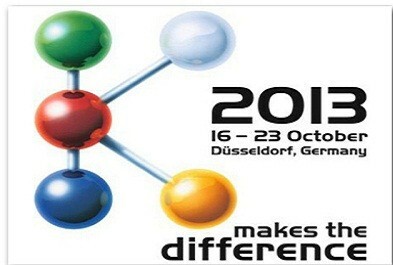 The official website of K 2013 have changed to a new design while the exhibitors database has already gone online, says the show organizer Messe Düsseldorf on March 4. Since the release of the online catalogue, the number of visits has shot up to about 110,000 in January and February, says the organizer. In the “Companies and Products” area of the portal, visitors can search for individual companies or compile a list of companies offering specific services or of companies from selected countries. This compilation can then be downloaded. Numerous personalized services such as MyOrganizer, MyCalendar for arranging dates online and MyCatalogue for compiling a personalized exhibition catalogue enhance the platform’s service package. There are also mobile Apps for both Android and Apple smartphone systems. Messe Düsseldorf is providing another useful utility is the new matchmaking function. This internet networking service pairs up like-minded exhibitors and visitors: both partners can post and access enquiries and offers – their search for a new cooperation partner online. This service provides networking opportunities in the run-up to the exhibition and helps the partners to arrange meetings at the K.
Visitors can buy eTickets for K 2013 on the Internet and print them out at home, which is less expensive than tickets purchased at the official ticket office on the exhibition grounds, the company notes. As in 2010, the K ticket includes the use of buses and trains of the public transport system in Düsseldorf and the immediate region. The online ticket shop will be accessible starting end of March 2013.